By now, you might have seen the countless news stories of nonprofits offering their services to those affected by the 34-day government shut down. While many were going without pay, nonprofits opened their doors and extended services to fill in the gaps felt by the missing paychecks. It’s a strong reminder of the importance of nonprofits and the role they play in society. Here are just a few of the examples we saw of San Diego nonprofits. 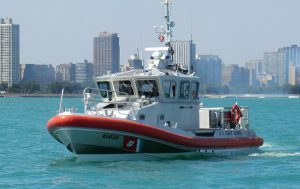 The Coast Guard, while a military branch, is funded through the Department of Homeland Security which was affected by the shutdown. Nationally, 42,000 active-duty Coast Guard personnel and 8,000 civilian employees were not receiving paychecks. Those most vulnerable were junior enlisted Coast Guard personnel with young families, many of whom lack savings. Despite being unpaid, uniformed Coast Guard personnel deemed essential continued to work. The San Diego Food Bank distributed seven tons of food and 6,000 diapers to hundreds of U.S. Coast Guard families affected by the government shutdown. A month’s supply of diapers for one child can cost more than $80, according to San Diego Food Bank spokesman Chris Carter. Workshops for Warriors stepped up to help the 600+ men and women Coast Guards in San Diego who were working without pay by collecting donations of basic necessities and monetary donations to help with bills and living costs. Community Resource Center offered their services for emergency food and assistance to all those affected by the shutdown. As families went without pay, many of them reached the breaking point as they became unable to afford food and other household essentials. For some, local food banks and other organizations were the only place they could go for help. As the government shutdown went into its fifth week, Kitchens for Good welcomed furloughed federal workers and government contractors affected by the shutdown to FED UP: a complimentary gourmet meal prepared by Kitchens for Good chefs and culinary students. Federal workers, whose compensation had been delayed, were invited to bring their families to this community luncheon. In partnership with Feeding San Diego, groceries were also available for participants to take home following the event.